Update: 8:48 a.m. – Authorities have since arrested Kevin Roque from St. George for allegedly receiving or possession of stolen vehicle a second-degree felony, fleeing from an officer and causing serious injury a third-degree felony, leaving the scene of an accident a Class A misdemeanor, disruption of school activity a Class A misdemeanor, reckless driving a Class B misdemeanor, and two infractions for speeding, and headlamp violation. 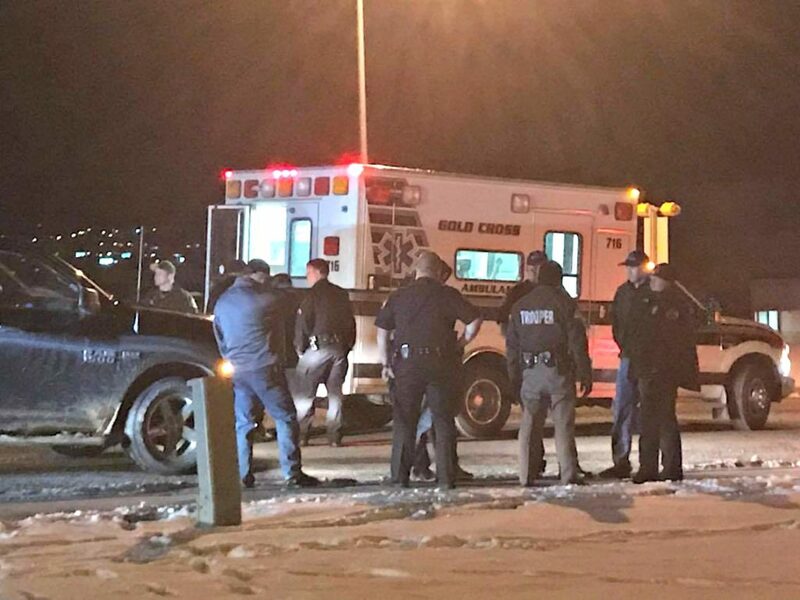 CEDAR CITY — Police surrounded a local high school Tuesday night during a well attended wrestling tournament after two suspects led them on a foot pursuit that had started earlier with a high speed chase on the freeway. 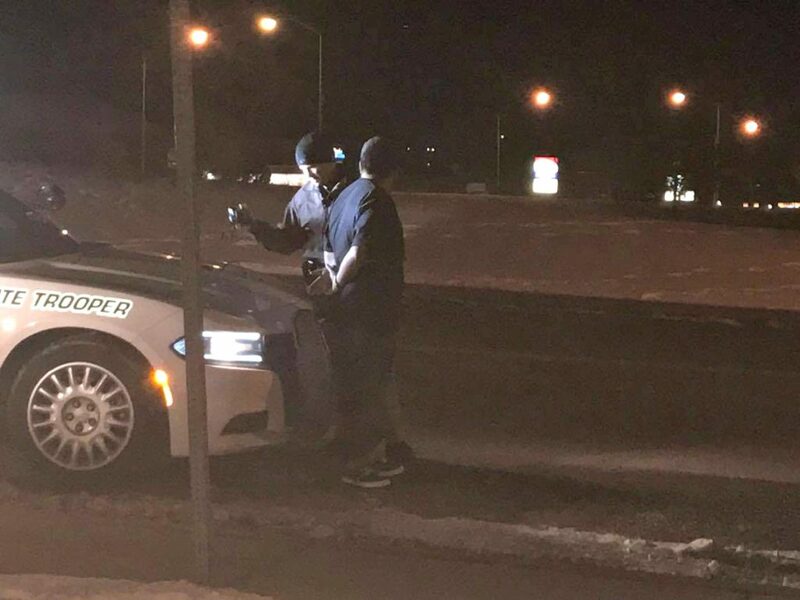 At 6:48 p.m., Utah Highway Patrol Trooper Zach Todd clocked a vehicle traveling approximately 100 miles per hour on Interstate 15 at milepost 60, said UHP Sgt. Ryan Bauer, who was also stationed on the Interstate at the time. The suspect turned the vehicle’s lights off once police began the pursuit. The vehicle took the off-ramp into Cedar City at Exit 62. 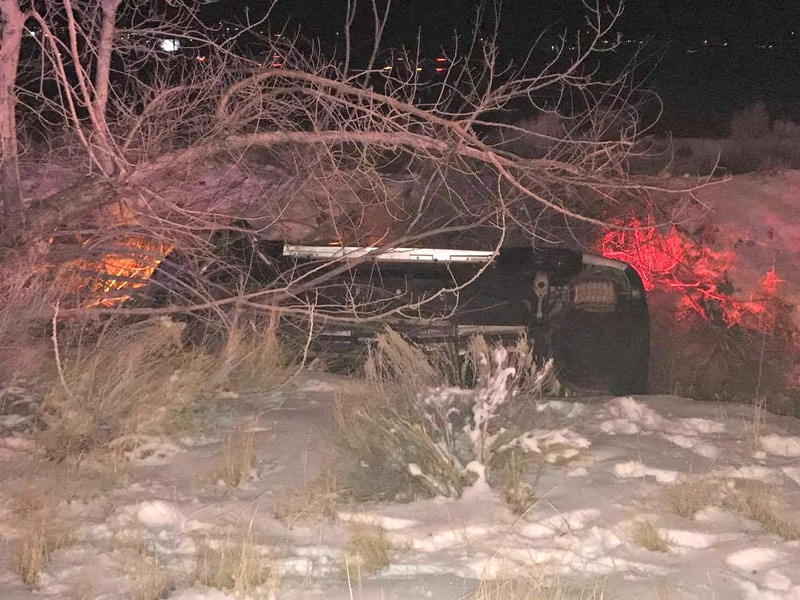 At that point, the troopers stopped chasing the vehicle but called ahead to Cedar City Police for assistance. After the suspects exited the Interstate they turned south on Main Street. Troopers continued following behind but were back far enough they lost sight of the vehicle that was reportedly stolen out of Ogden. “At that point we weren’t chasing them so they got far enough ahead of us that we couldn’t see them anymore,” Bauer said. The couple was only about a couple of blocks from the Interstate when they crashed the vehicle, rolling it into a ravine. Witnesses said they saw a man and a woman exit the vehicle and run west toward Canyon View High School. Police set up perimeters around the building to ensure the safety of those inside, who at the time were attending a wrestling match. Additionally, several law enforcement vehicles were stationed on the Interstate located near the high school. K9 units were also called in for assistance. 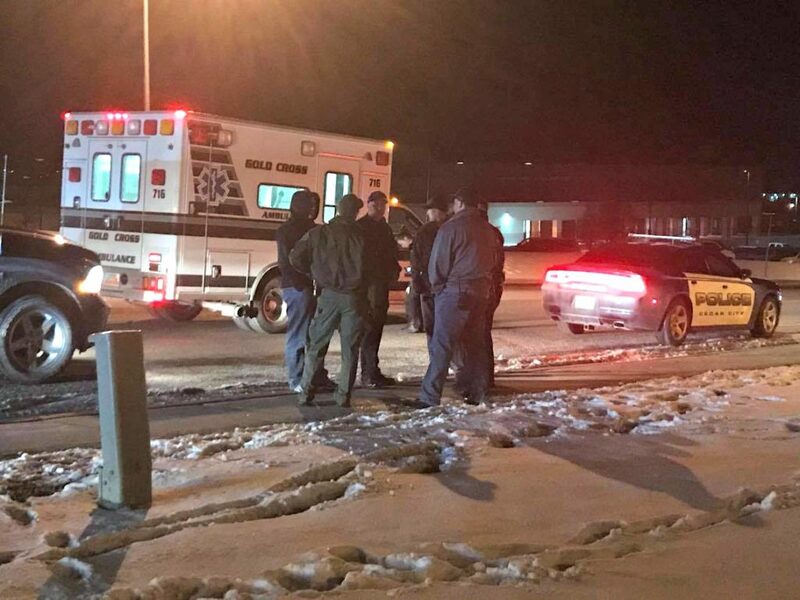 Authorities tracked the suspects via their footprints in a snow-covered field, Bauer said. 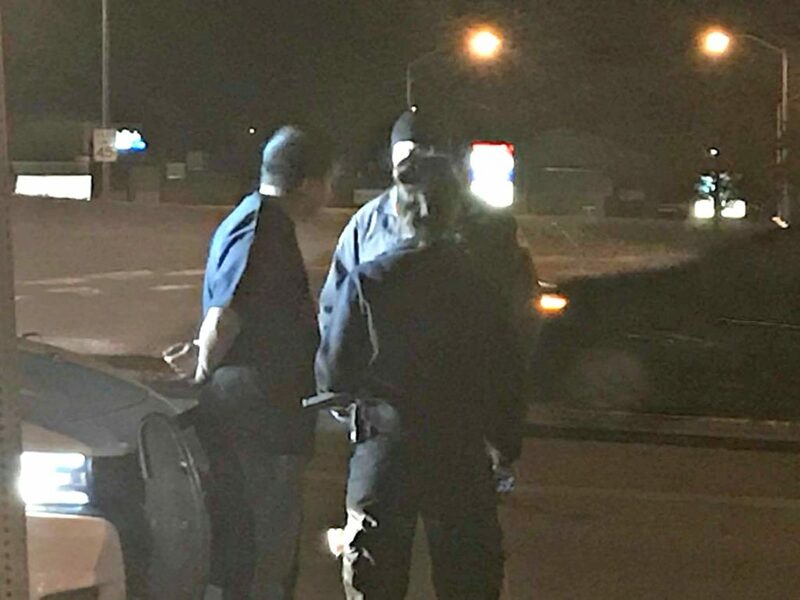 The couple was located at around 7:30 p.m. near The Church of Jesus Christ of Latter-day Saint’s seminary building located next to Canyon View High School and were arrested. At the time of publication, authorities had not yet booked the 18-year-old driver into jail nor had charges been determined. In addition, police had not confirmed the driver’s name, Bauer said. The female is a 16-year-old juvenile so her name will not be publicly released, he added. 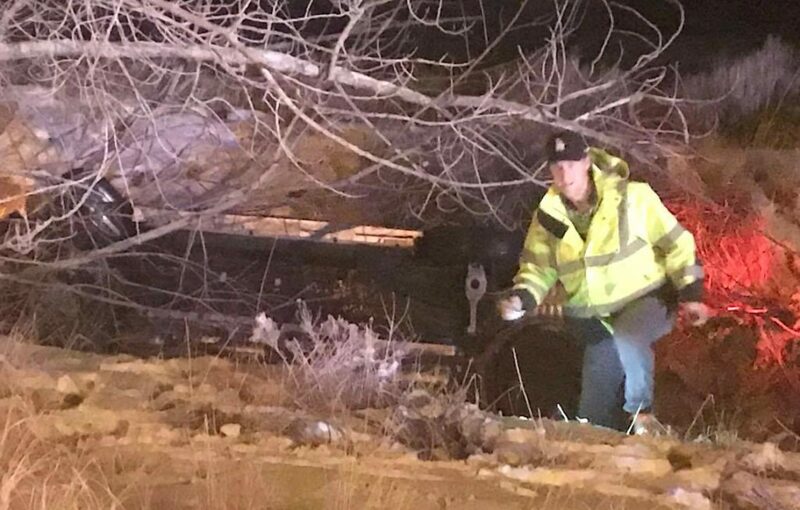 The driver is believed to be a resident of Cedar City. The female however, is reportedly from northern Utah, Bauer said. Ed. 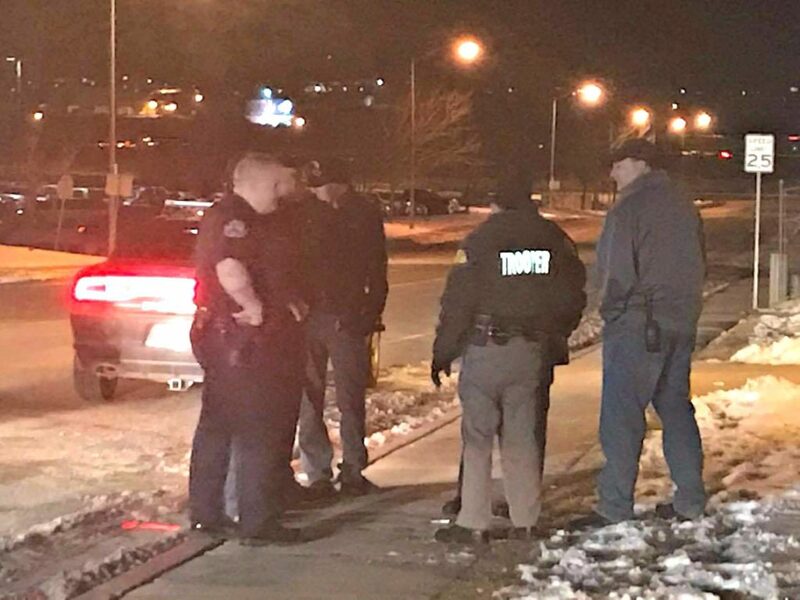 note: The event occurring at the time of the incident was incorrectly reported by police to Cedar City News as a basketball game. Changes have been made to reflect the correct event as a wrestling tournament. There was also a band and orchestra concert occurring at the same time.